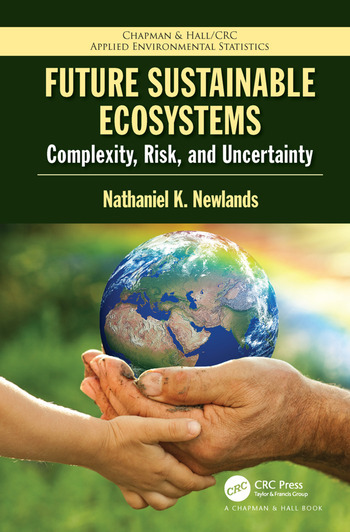 Future Sustainable Ecosystems: Complexity, Risk, Uncertainty provides an interdisciplinary, integrative overview of environmental problem-solving using statistics. It shows how statistics can be used to solve diverse environmental and socio-economic problems involving food, water, energy scarcity, and climate change risks. It synthesizes interdisciplinary theory, concepts, definitions, models and findings involved in complex global sustainability problem-solving, making it an essential guide and reference. 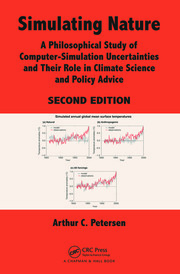 It includes real-world examples and applications making the book accessible to a broader interdisciplinary readership. Discussions include a broad, integrated perspective on sustainability, integrated risk, multi-scale changes and impacts taking place within ecosystems worldwide. State-of-the-art statistical techniques, including Bayesian hierarchical, spatio-temporal, agent-based and game-theoretic approaches are explored. The author then focuses on the real-world integration of observational and experimental data and its use within statistical models. "This new book is highly readable, stunningly erudite and should be read by all concerned with rational and evidence-based policy choices in today’s complex society. Dr Newlands adopts refreshingly interdisciplinary and holistic perspectives on a wide range of practical issues in ecology, resource use and the optimal allocation of resources. The literature surveyed and summarized here is immense, including many government reports from the ‘grey literature’ that can be hard to know about. It includes careful descriptions of practical methodologies for tackling complex real world problems using the latest statistical insights." "This book is a valuable resource for students, researchers and policy-makers alike. 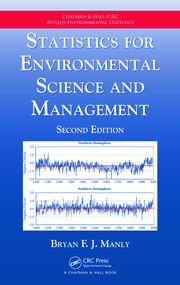 It seamlessly integrates theory and concepts from diverse domains, such as mathematics, environmental science, economics and statistics, with environmental risk modelling as the common unifying thread. For the environmental scientist, it provides a succinct introduction to the rigor underlying environmental assessment and forecasting. For the mathematically-minded, one gets a deeper understanding of how these diverse domains are interwoven within the context of policy-making and sustainability. The figures provide excellent big picture summaries of the high level dynamics and structures discussed throughout. Being both timely and forward-thinking, this book is suitable for anyone seeking an interdisciplinary perspective on developing sustainable ecosystems. By the end of the book, one has a solid grasp of the need for researchers and policy-makers to collaborate, and the niche this book has made is in bridging the communication gap between the two." 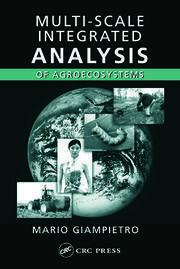 "Before this book, one could only imagine this: any serious attempt to synthesize subject matters from myriad topics so integral to the understanding and practice of sustainability would've required an equally large number of experts to contribute substantive discipline-specific details through standalone primers or chapters; the editors -- themselves well versed in up to only a few of these topics -- would give a valiant effort to collate the diverse articles into a compendium that conveys some form of coherent message to the reader. We live in an era in which real world problems exhibit an ever-increasing number of sources of complexity, but the sources are interconnected through a common denominator: human activities. To solve such problems with meaningful impact is to acquire and apply integrative knowledge that ties it all together. In writing this encyclopaedic book, Nathaniel Newlands himself is the myriad subject matter author, the topic editor, and the editor-in-chief who has synthesized these topics to facilitate meaningful impact. Newlands, and his book, are each a one-of-a-kind gem. The world needs to mine, as well as manufacture, more of these gems, in order to achieve real progress towards a sustainable human existence." "The breadth of topics covered in Newlands’ book reflects his own impressive experience of engaging with the sustainability of real ecosystems. Newlands proves a reliable guide in the real-world understanding of complex risks and the statistical uncertainty associated with it. He contextualizes statistical and model uncertainty in an integrative approach that bridges the divide between qualitative and quantitative understanding of environmental problems and solutions."